Roger CPA Review can serve members of Beta Alpha Psi by providing professional development presentations and consultations on the CPA Exam application process, structure and content, proven study techniques for passing the exam, networking and interviewing best practices, various paths for an accounting career, new hire professional etiquette and other relevant topics. Members are provided with free access to the Roger CPA Review Tutoring Center for assistance in their current accounting classes and receive exclusive Beta Alpha Psi discounts and scholarships. At Roger CPA Review, the mission is simple: to change the way students learn to achieve maximum efficiency. With the power of new SmartPath Predictive Technology™, future accountants are empowered to achieve their career goals through impactful, data-driven learning – faster than ever before. Roger CPA Review is proud to provide innovative products and services that students not only need, but love, making it the choice program among the profession’s top universities and firms. Over 200,000 students have reached their goal with Roger CPA Review. It's your turn. For more information, visit www.rogercpareview.com and #TaketheSmartPath. Secrets to Career Success [eBook]: Transitioning from accounting student to working professional can seem challenging, with a mountain of obstacles in the way. In this eBook, co-authored with accounting professor Bennet Tchaikovsky, CPA, we’ll help you navigate the steps you need to take to ensure a successful and smooth transition from accounting classroom to accounting firm. Click the link to download our free eBook (valued at $59.99) to gain a better understanding of how to position yourself for a successful accounting career. 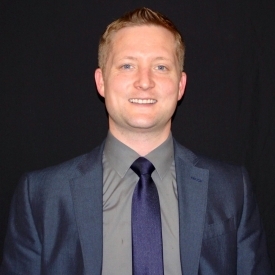 Tyler joined Roger CPA Review in 2013 and currently serves as the Business Development Manager, Pacific Northwest. Based in Seattle, Washington his primary focus is on developing key relationships with professionals, professors and students within the Pacific Northwest. He is a graduate of Central Washington University with a degree in Marketing. In his personal time Tyler enjoys traveling, attending sporting events, and can often be found providing the latest industry advice to students and professionals on Twitter and LinkedIn.